The words I hate to hear. . . I didn’t know you sold life insurance. Those are words I hate to hear. Okay, now you know! Spencer Insurance sells life, disability and long term care insurance too. My specialty at the agency is in these coverages. I started my insurance career with John Hancock in the late 80s before joining my Dad’s agency. I have been selling life insurance for over 30 years. How many life insurance agents can say that? Most of the people I meet do not even know if their life insurance agent is still in business. They have not heard from the agent since the policy was purchased. As a father, grandfather and small business owner I understand the needs of parents and small business owners to protect their families and businesses in the event of a death or disability. Do you have the right amount of life and disability insurance? You may have too much or too little. How does a business owner protect their small business from the death of an owner or key employee? What is your small business worth? We have a program that will give you the answer! Can my children and spouse stay in our home if I die? Can the children still go to college? 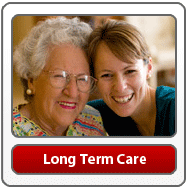 How to use life insurance proceeds while living to pay for long term care expenses. If you don’t have life insurance what are you waiting for? Contact us now! If you do have life insurance call us to review the policy and make sure it is still providing the coverage you need and that the coverage is not running out soon. (We see a lot of people who purchased a 20 year term years ago and don’t realize the premium guarantee is running out. Whether you just need a $15,000 final expense policy or $1,000,000 in term we can help. Rely on my 30 years of experience. Contact us today so you can check it off your “to do” list. Have you purchased life insurance to protect your family from the loss of your income? If not, what are you waiting for? Check out Rachel’s story. She provides a real life example of why you should not wait. Most people overestimate the cost of life insurance. Spencer Insurance has many companies that offer low term life insurance rates. These low term insurance rates are only available while you are still healthy. The younger you start the less expensive the cost. A young person age 26 can lock into a 30 year term. The cost would stay the same all the way to age 56. According to studies, many people didn’t buy life insurance because no one ever asked them to buy it. Well, I am asking you. Contact us today for a life insurance quote. Our website has a section that discusses life insurance. Check it out today. Don’t procrastinate! When a parent dies the family is devastated emotionally. Don’t let your family be devastated financially too. Contact us today to buy life insurance. We are glad to assist you. Spencer Insurance was voted “Best Insurance Agency” in the Best of Montco 2015 – 2016 – 2017!! Filed Under: Featured Tagged With: buy life insurance when you are young, buying life insurance, cash value life insurance, cost of life insurance, Life insurance, life insurance agent in Philadelphia, life insurance awareness month, life insurance rates, low cost life insurance, low cost term life insurance, spencer insurance, Spencer Insurance Agency, Spencer Insurance Agency Inc.
A while ago Rachel told me her story. I asked if she would please write down her story so I could share it. Take a minute to read her story. . . I was 28 years old and got married in September of 1999. While on our honeymoon in St. Thomas my wisdom teeth became abscessed and I had just switched jobs so I was in between health insurance. You know I was 28, who cares about the 3 month waiting period. I didn’t need COBRA. So I bought some time with over the counter aids and then in October I woke up and my neck felt stiff, so I rubbed it and found a lump on the right side just below the ear. I went to my family doctor who said that it was a swollen lymph node to fight the inflamed wisdom teeth, but he sent me for a CAT scan just to be safe. bought a house and then after I got better decided to start a family. After 3 years we decided to adopt and that is when I found out at the age of 33 that I was going to have difficulty getting life insurance because of my past medical condition. was needed to proceed with the adoption because my daughter was born the next month. About a month after she was born was denied life insurance after the company had received my medical history from my primary doctor. Thankfully for us, all the papers were filed with the courts so it did not affect our adoption my daughter, Faith. survive all that is thrown at you and come out with such a great reward as I did, my Life and my Daughter (my Angel). But for whatever the outcome may be: BE PREPARED!!!!!! to take care of all you acquire and create! Thank you Rachel for sharing this very personal story. Please don’t procrastinate, buy life insurance today. At a young and healthy age life insurance in very inexpensive, however it will mean a great deal to your family if you die. Imagine how tough it would be for your family to make ends meet if they lost your income. To get a no obligation quote call our office at 215-885-2200 or Click here and I will call you for a life insurance review and also send our free report “How to Protect Yourself and your family if you die.” Don’t delay, take care if this today! P. S. Please feel free to share your story with us. Add your comments below.